For the sixth year in a row, readers of Protector & Wik and online portal Sicherheits.info have cast their votes for the best products in security technology. 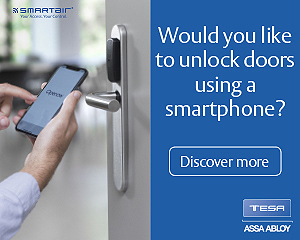 In the access control category, ASSA ABLOY won the Golden Protector 2018 for its mobile-ready mechatronic locking system, CLIQ® Connect. The award was presented on 27 June at the SicherheitsExpo in Munich. 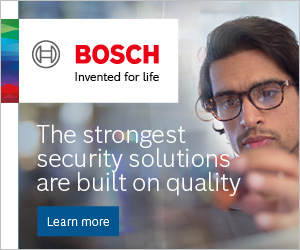 CLIQ® Connect is part of the trusted CLIQ® ecosystem, which includes programmable, battery-powered keys and security cylinders. The CLIQ® Connect solution makes mobile workflows smoother, because administrators can change or issue access rights wherever site users are. A key-holder no longer needs to update their key physically in person, carry additional programming devices, or even return to base. All they need is a smartphone and the CLIQ® Connect app. The app pairs a programmable CLIQ® Connect key, via an end-to-end encrypted cloud connection, with the CLIQ® Web Manager. To change a key-holder’s access permissions, a system administrator simply accesses the CLIQ® Web Manager software — from anywhere — and updates it. 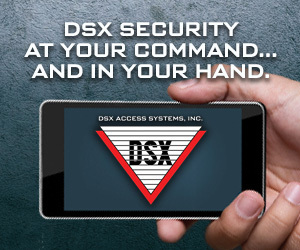 A key-holder makes a secure Bluetooth connection between their programmable CLIQ® Connect key and the app to instantly update access permissions from the cloud. CLIQ® Connect saves companies’ administration costs and increases security, because in the event of a lost key, access authorizations can be deleted instantly. CLIQ® Connect was previously a winner at the Detektor International Awards, recognizing outstanding innovation in security alarms, access control and CCTV; amongst the recognitions it has received is also the Gold Trophy at France’s APS Awards. In 2014, ASSA ABLOY also collected a Silver Protector Award for its fully electronic locking system, eCLIQ. To learn more about how CLIQ® access control increases security and improves workflow efficiency, visit https://campaigns.assaabloyopeningsolutions.eu/cliq.